The stars didn’t wait to come out at night to support the National Latino Independent Producers Conference (NALIP) on April 17th in Newport Beach, CA. Informative seminars began early Friday morning and the conference ran through Sunday April 19th. People from various walks of the entertainment industry participated at NALIP. Notable director Luis Valdez (La Bamba) opened on Friday with a keynote address during lunch. 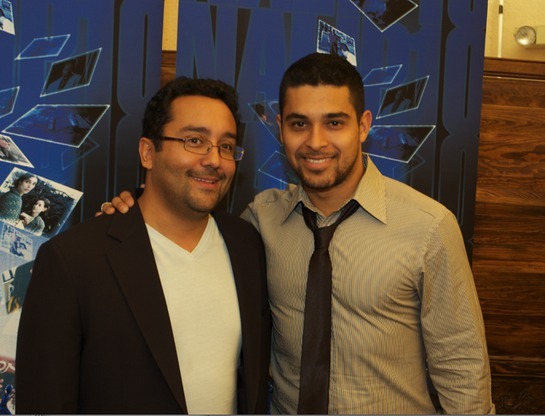 Hollywood A-listers Wilmer Valderrama and High School Musical Director Kenny Ortega attended the event. Ortega also received an award at Saturday night’s award show. Not only does the celebrity of actors, radio personalities, directors, producers and other artists help enrich the lives of others at the NALIP Conference, but their messages – such as passing the baton of knowledge, inspired activism, and the promotion Latino cultural cohesiveness – last a lifetime. The conference was presented by HBO and the National Latino Media Council.